SKU: 0758. 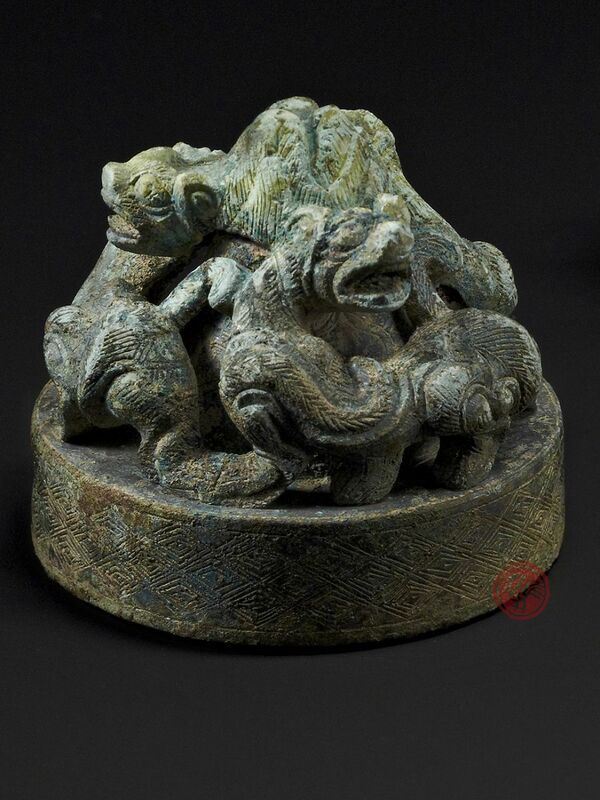 Categories: Han & Tang Bronzes, Qin & Han Dynasties. 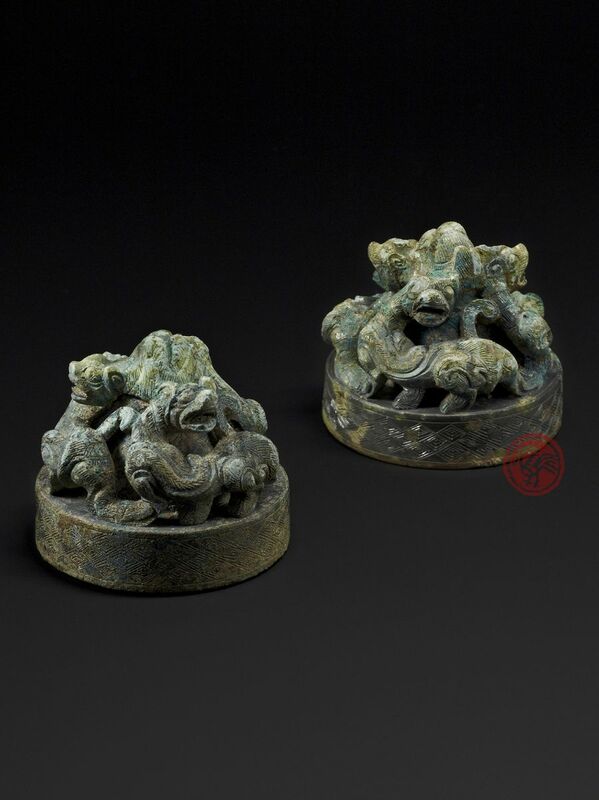 The use of bronze weights was first mentioned in ancient Chinese classics, Chu Ci, or Verses of the South, from the Warring States period, and they were used to serve as mat weights at corners, or paperweights for a scholar’s desk. In order to increase its weight, without enlarging its size, lead was significantly increased in alloy casting. Bronze weights of very similar design but a bit smaller in size were found in the excavation of Tomb 1, Wangniuling, Hepu, Guangxi in 1971, illustrated in Kaogu (Archaeology), 1972.5, p.26, pl.6:3. The pre-war Berlin State Museums, Staatliche Museen, and G. L. Winthrop of New York had also kept similar weights in their collections, see Umehara Sueji, O-Bei shucho Shina-kodo Seikwa (Selected Relics of Ancient Chinese Bronzes from Collections in Europe and America), 1933-1935, vol. 6 (part III, vol.1), pl.54.